Now that the Associated Press has announced that Hillary Clinton has (unofficially) reached the "magic number" of 2,383 delegates needed to clinch the Democratic nomination, it's increasingly likely that she will be considered the presumptive nominee very soon. 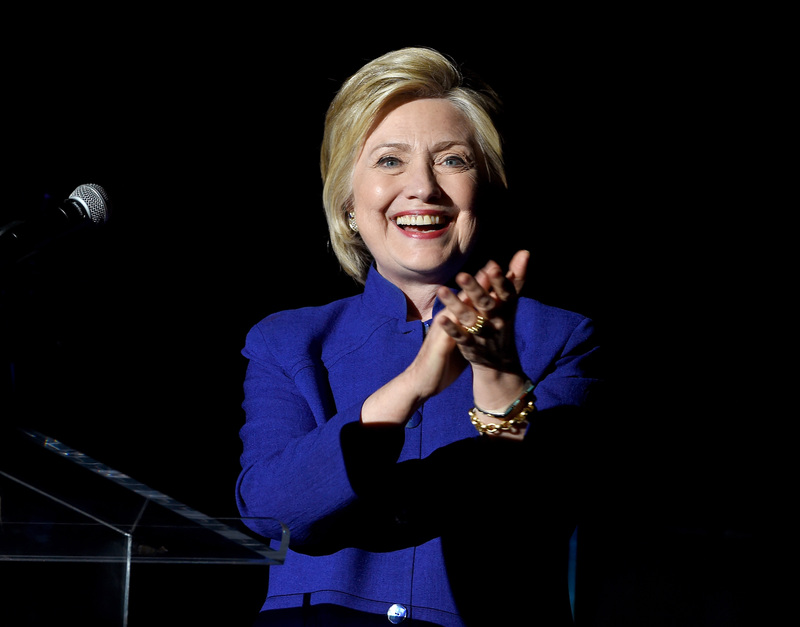 This announcement was made based on her gaining 1,812 pledged delegates (elected ones) and 571 superdelegates to reach that number, according to FiveThirtyEight's Nate Silver. However, as many a BernieBro has noted on Facebook, those superdelegates do not officially cast their votes until the Democratic National Convention in July. But, does this mean Clinton can still lose the nomination? FiveThirtyEight's pledged delegate count, which does not include superdelegates, has Clinton with 1,811 pledged delegates to 1,526 for Sanders. The Sanders campaign said its "job from now until the convention is to convince superdelegates that Bernie is by far the strongest candidate against Donald Trump." There are not many plausible arrangements under which Sanders would have become the Democratic nominee. He's been aided by caucuses, which have much lower voter participation. He'd trail even if all states had open primaries, which are generally favorable to Sanders. If the Democratic race were contested under Republican rules, with no superdelegates but winner-take-all delegate allocations in states such as Florida and Ohio, Clinton would have clinched the nomination long ago. Clinton has won in those states where the turnout demographics most closely resemble those of the Democratic Party as a whole. So it's not just that Sanders can win only if a huge number of superdelegates flip their vote to him. He can win only if a huge number of superdelegates who have committed to Clinton flip their vote against her, despite her having won a clear majority of votes and elected delegates, thereby overturning the popular will. While it's true that the final votes of superdelegates won't be counted until the convention on July 25, the historical precedents along with the numbers — which would only require Clinton to win "just 215 of the remaining 714 pledged delegates available... or 30 percent" to maintain her lead in pledged delegates — simply don't suggest that Sanders will be able to successfully take the nomination from Clinton.